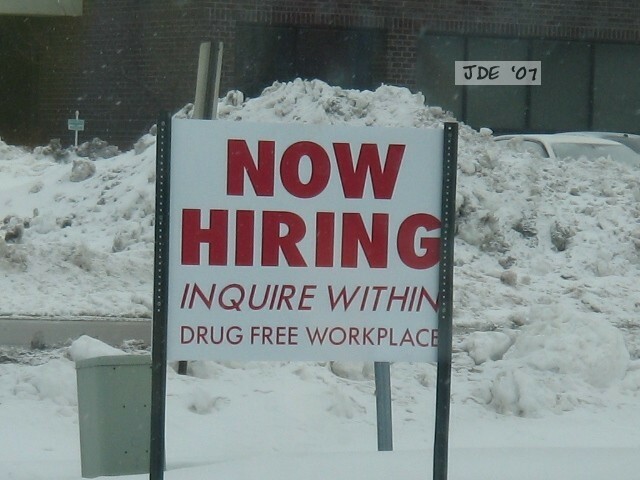 Years ago, I was desperate to find a new job. I searched the classified ads every day (the internet was not a real option then), and I sent resumes to countless companies. Finally I found an opportunity I thought was a perfect fit–beyond the fact that this company needed a live body and I needed a new job, I believed my skill set to be well-suited to it. I contacted the recruiter and progressed from the interview with him to the real deal. I spent hours speaking with various people in the company and thought I had a pretty good chance. Afterward, the recruiter told me that the company had narrowed its candidate field to two: another woman and me. I was ecstatic. My phone didn’t ring for a few weeks, so I finally called the recruiter, impatient to hear something new. The minute I heard the hesitance in his voice, I knew. I didn’t get the job an. I was devastated I politely yet firmly conveyed my disappointment to the recruiter, explaining all the reasons why I thought I was an ideal fit. He was sympathetic, but certainly there wasn’t much he could do. Imagine my surprise when I received a call a few days later requesting another interview. It turns out that although I didn’t get the job I had originally sought, the company was still interested. To make a long story short, I eventually received an offer and have been with the company ever since–almost 17 years, to date. It turns out that I got the better deal. The person hired for the original job isn’t there any more, and the position has long been eliminated. The original position had a lot of limitations, too. The position I was given, however, was wide open with possibility. The man who hired me, the president of the company, turned me over to the marketing manager at that time and told him, “Teach her everything about marketing.” And boy, did he put me through the paces. I wouldn’t be where I am today without that opportunity to learn. Besides marketing, I also learned some lessons from this event. First, never give up. No matter how something looks, you never know how it will turn out in the end. Things can change. Second, express yourself. Although he never specifically told me so, I’m pretty sure that recruiter went to bat for me–but only after I clearly articulated why I thought I was a good fit for the company and how disappointed I was a not making the cut. Third, don’t ever turn your nose up at an opportunity to learn. I started at the very bottom, but I soaked up information like a sponge. So many of those early lessons still guide my behavior today. Finally, don’t underestimate the value of the people in your life–and show them gratitude. I may have landed the job because of what the company president saw in me (I hope), but the recruiter led me to the door and opened it.